Customer satisfaction is at the core of everything we do, beginning with the acquisition of a deep understanding of what the customer needs. Beyond simply listening to their feedback, we strive to perceive feelings and expectations that customers may not be able to articulate. We then propose solutions based on the customer’s perspective. Our aim is to offer RICOH Quality that delights our customers. This commitment is embedded in the corporate values that all Ricoh Group employees are expected to uphold so that they will act with full awareness that ensuring quality and customer satisfaction is their most important mission. The Ricoh Group undertakes activities in pursuit of customer satisfaction to ensure RICOH Quality, which aims to “consistently delight and inspire our customers” by strengthening basic quality—such as safety and reliability—based on continuous communication with customers. In addition to efforts aimed at fulfilling social responsibilities, we actively invite customer comments so that we can better understand our customers. The customer perspectives thus gained are applied to our products and services to provide customers with truly useful value. Building in safety from the design and development stage is crucial to ensuring that customers can use our products and services with confidence. The Ricoh Group regularly reviews product safety standards, strictly adhering to them and continually upgrading quality. This procedure is formulated in our Basic Policy for Product Safety Activities and our Action Policy for Product Safety Activities. In 2009, we improved our structures for product compliance with laws, regulations and official standards on an international level. We introduced controls using target management tables for the product design and development stage. Since meeting each country’s regulatory requirements is mandatory, the database for compliance check sheets is constantly updated with the latest data on national and international rules. In addition, we continue to step up Ricoh’s own (and more rigorous) standards to ensure safety for children, elderly people and other vulnerable members of society. 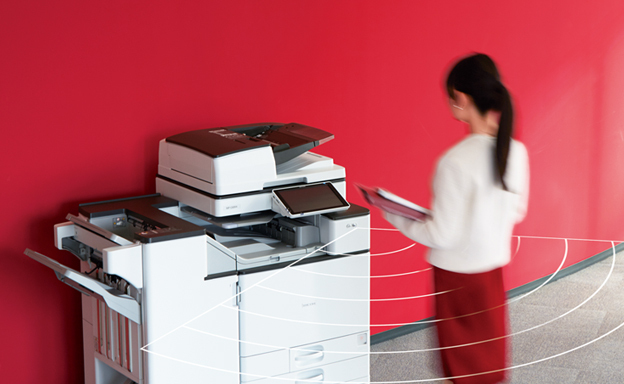 As new technologies and businesses for which product safety standards do not yet exist require a framework to identify possible risks, Ricoh is expanding its Product Safety Risk Assessment program. This is an effective means of confirming the safety of products in new business areas and in existing products to which new technologies or mechanisms have been added. Through this combination of standards, we are doing our utmost to ensure the safety of every new product we bring to market. The Ricoh Group employs three market information databases related to product quality. The Maintenance Service Information System contains historical information on machine failures confirmed by customer engineers, along with the maintenance services we provided. The Quality Problem Management System links data obtained in Japan on product quality issues to data from our other markets around the world. If a quality-related problem occurs, the Design and Manufacturing Department discusses what action to take based on information in this database, and provides prompt feedback to those involved. Finally, the Device Monitoring System allows us to obtain statistics on how customers use our equipment on a daily basis through @Remote™, our global remote device management service. The Ricoh Group uses these systems in an integrated way to obtain market information from multiple aspects. Based on this data, we can immediately identify and address problems, and take action to prevent similar problems from occurring in the future. Ricoh’s @Remote™ technology is an Internet-based management system for monitoring customer device data. The @Remote™ service automatically collects and uploads meter readings daily from MFPs and printers, keeping track of their usage status, maintenance records and machine conditions. This enables us to provide essential services (like replenishing supplies and dispatching maintenance personnel) promptly, without the customer having to contact us. We offer @Remote™ globally so that customers can use their equipment with confidence at all times. Ricoh Group sales companies around the world improve quality based on our quality management system and the ISO 9001 standard. Most of our production sites and sales companies have earned ISO 9001 certification in our drive to enhance the quality of everything we do, from manufacturing through sales to customer service. Our service personnel in Japan take part in skills competitions and certification exams, while overseas we have instituted a variety of similar programs to raise service standards. 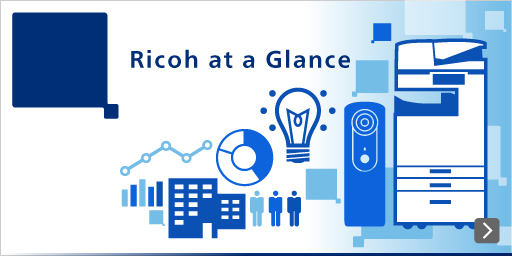 In our continual pursuit of RICOH Quality, we reflect feedback from customers and rapidly respond to their changing needs. This allows us to provide customers around the world with value that is unique to Ricoh. We also look ahead to anticipate what new values customers will require in the future, and engage in customer-centric improvement initiatives. In the approximately 200 countries and regions where we operate, Ricoh Group sales and support companies establish close ties to the local market while maintaining a consistent global strategy. Sales companies in each country within our four major business regions—Japan, the Americas, Europe and Asia, Oceania and China—have direct contact with customers, operate and oversee customer relationship management (CRM) databases and track customer data such as equipment information and maintenance histories. Customers look to us for solutions tailored to their specific needs or industry sector, using their CRM databases to seek a higher level of customer support. Apart from national CRM databases, the Ricoh Group has centrally and globally managed information on customers around the world that covers not only sales and equipment information but also histories of special orders and customizations. The Ricoh Group periodically conducts customer satisfaction surveys worldwide to gauge how successful we are at achieving RICOH Quality. We also distribute unique new product, sales and service satisfaction surveys for assessing each aspect of monozukuri (craftsmanship), sales and services. Feedback is applied to service improvement programs. We listen closely to customer comments and have programs in place to apply this vital input to the development of our products and services. Our marketing staff tracks customer needs and feeds this information back to development personnel, who use it for R&D and product improvements. Sales and product development staff also share data and observations whenever we launch a new product or develop a new market. Serious quality issues are dealt with according to Ricoh’s Major Quality Problem Response Rules, which dictate listening to the immediate involvement of our risk management staff. Call Centers in more than 60 locations worldwide respond attentively and in a manner appropriate to regional conditions, channeling customer input to those working to improve products, sales and service. Sales companies in each country give us direct contact with customers, but the Ricoh Group also has independent Customer Centers that customers can contact directly. Customer requests, complaints and claims are fed back to relevant departments within our organization. The Ricoh Group has Technology Centers in seven countries and Printing Innovation Centers in 10 countries around the world. These on-the-ground facilities are extremely useful in picking up customer needs that can lead to the creation of new technology. The Ricoh Group constantly evaluates customer satisfaction with its products and services. We have identified ways to make our products better by analyzing customer satisfaction surveys and by planning and developing offerings that customers find useful. 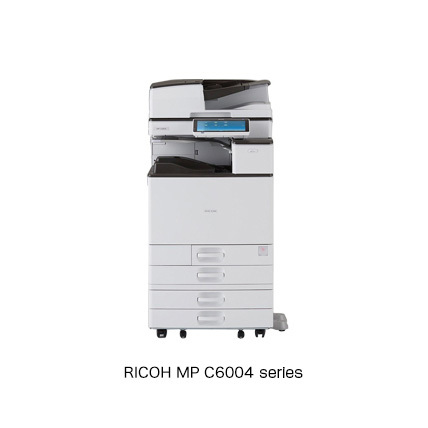 A good example is the key benefit of the RICOH MP C6004/5504/4504/3504/3004/2504 series, which we launched in May 2016. This benefit was that waiting times were imperceptible even in energy-saving settings. Here, we will present initiatives that reflect customer feedback. We drew on feedback from a customer satisfaction survey to explore new issues. In the process, we learned that many customers want their systems to more quickly wake up from standby mode. We therefore set about improving functional specifications. We assessed behavioral patterns to determine what customers really seek in terms of MFP performance. In the process, we found that the startup speed that customers was not just quick wakeups from standby mode but also a swift readiness for usage. We applied that readiness as the concept for our activities and endeavors to minimize perceived wait times, thereby providing new value to customers. By employing motion sensors, we were able to make MFPs ready so users could quickly operate panels. Quick wakeups of parts of panel that customers would first use gave them instant operating access. A customer satisfaction survey after a new model launch led to greatly improved satisfaction in terms of startup speed. We will continue to undertake improvement initiatives and provide new value to customers through our products and services.